Charles Widor’s musical life covered around 75 years of French cultural history. His organ symphonies helped to blow spectacular new life into an instrument that had become sorely neglected, and it was in salons such as that of the organ builder Cavaillé-Coll that his chamber music was first welcomed with enthusiasm. 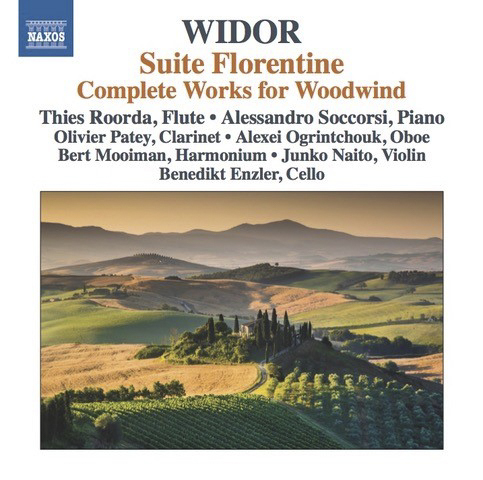 Widor went on to work with leading players of his day, composing audition showpieces such as the Introduction et Rondo, the recently rediscovered and popular Sérénade with its rich harmonium sonorities, and the Suite Op. 34 that far transcends the salon genre in its character and range.